Image splicing is a very common image manipulation technique that is sometimes used for malicious purposes. A splicing detec- tion and localization algorithm usually takes an input image and produces a binary decision indicating whether the input image has been manipulated, and also a segmentation mask that corre- sponds to the spliced region. Most existing splicing detection and localization pipelines suffer from two main shortcomings: 1) they use handcrafted features that are not robust against subsequent processing (e.g., compression), and 2) each stage of the pipeline is usually optimized independently. 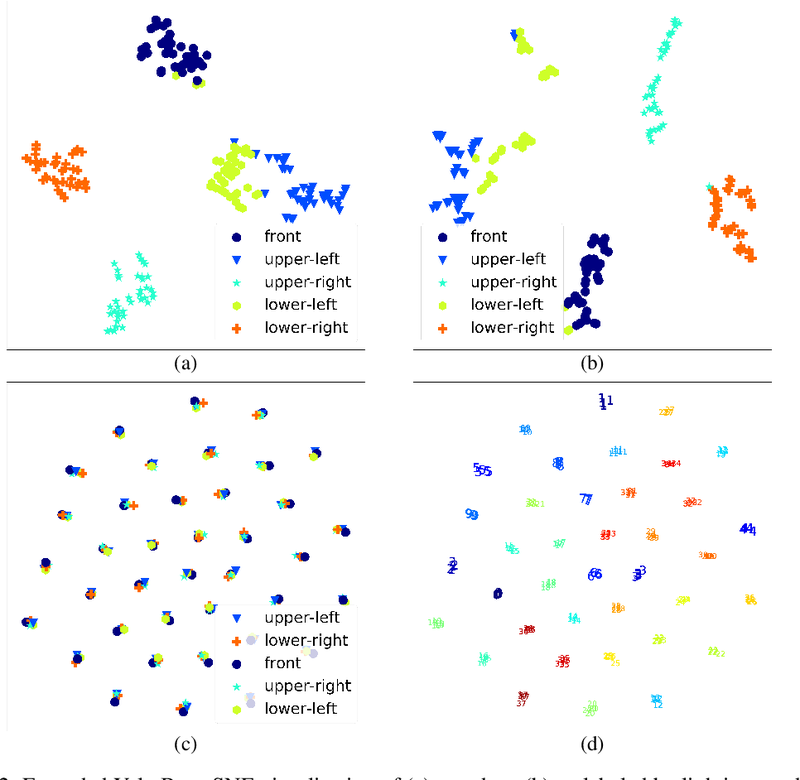 In this paper we extend the formulation of the underlying splicing problem to consider two input images, a query image and a potential donor image. Here the task is to estimate the probability that the donor image has been used to splice the query image, and obtain the splicing masks for both the query and donor images. We introduce a novel deep convolutional neural network architecture, called Deep Matching and Validation Network (DMVN), which simultaneously localizes and detects image splicing. The proposed approach does not depend on handcrafted features and uses raw input images to create deep learned representations. Furthermore, the DMVN is end-to-end op- timized to produce the probability estimates and the segmentation masks. Our extensive experiments demonstrate that this approach outperforms state-of-the-art splicing detection methods by a large margin in terms of both AUC score and speed. 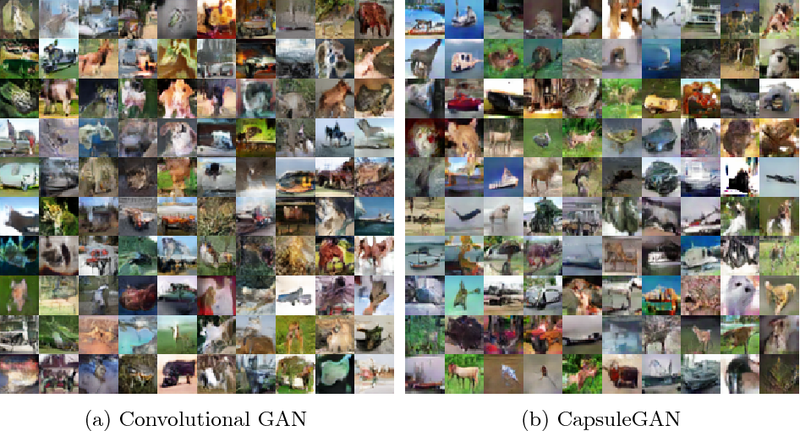 Conditional Generative Adversarial Networks (cGANs) are generative models that can produce data samples ($x$) conditioned on both latent variables ($z$) and known auxiliary information ($c$). 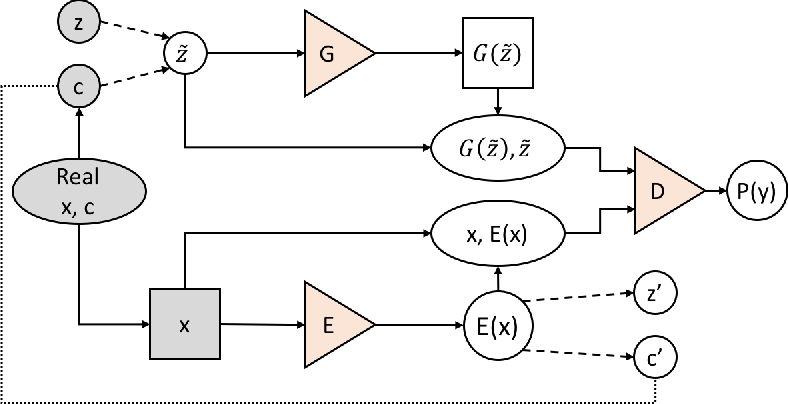 We propose the Bidirectional cGAN (BiCoGAN), which effectively disentangles $z$ and $c$ in the generation process and provides an encoder that learns inverse mappings from $x$ to both $z$ and $c$, trained jointly with the generator and the discriminator. We present crucial techniques for training BiCoGANs, which involve an extrinsic factor loss along with an associated dynamically-tuned importance weight. As compared to other encoder-based cGANs, BiCoGANs encode $c$ more accurately, and utilize $z$ and $c$ more effectively and in a more disentangled way to generate samples. 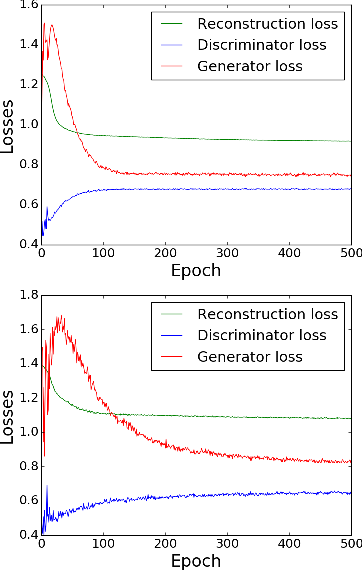 We present Generative Adversarial Capsule Network (CapsuleGAN), a framework that uses capsule networks (CapsNets) instead of the standard convolutional neural networks (CNNs) as discriminators within the generative adversarial network (GAN) setting, while modeling image data. We provide guidelines for designing CapsNet discriminators and the updated GAN objective function, which incorporates the CapsNet margin loss, for training CapsuleGAN models. 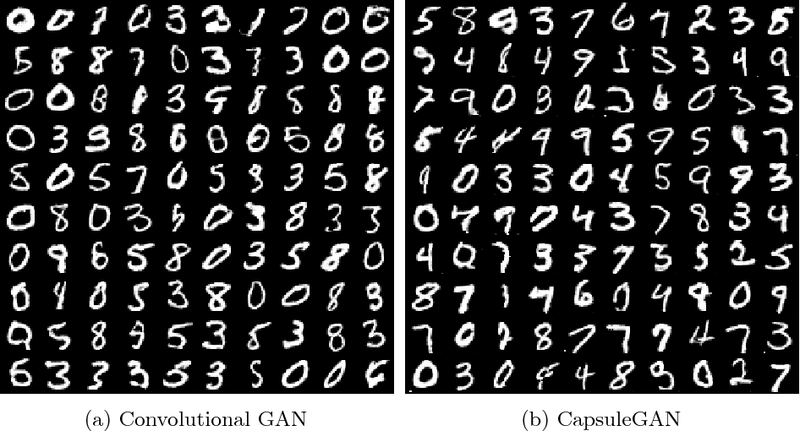 We show that CapsuleGAN outperforms convolutional-GAN at modeling image data distribution on MNIST and CIFAR-10 datasets, evaluated on the generative adversarial metric and at semi-supervised image classification. Nefarious actors on social media and other platforms often spread rumors and falsehoods through images whose metadata (e.g., captions) have been modified to provide visual substantiation of the rumor/falsehood. This type of modification is referred to as image repurposing, in which often an unmanipulated image is published along with incorrect or manipulated metadata to serve the actor's ulterior motives. 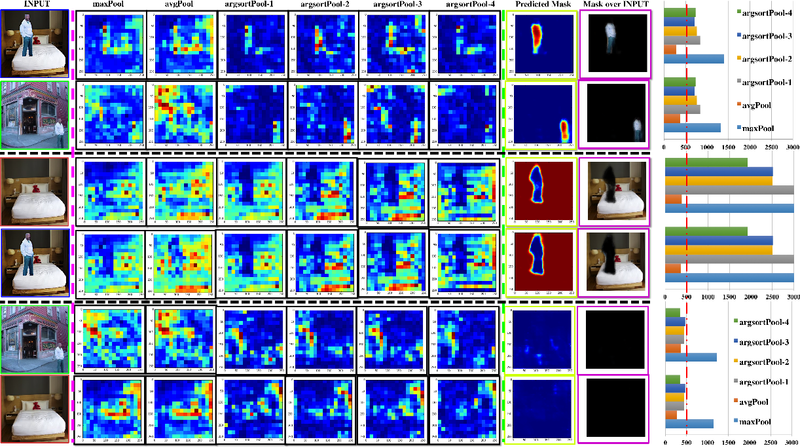 We present the Multimodal Entity Image Repurposing (MEIR) dataset, a substantially challenging dataset over that which has been previously available to support research into image repurposing detection. The new dataset includes location, person, and organization manipulations on real-world data sourced from Flickr. We also present a novel, end-to-end, deep multimodal learning model for assessing the integrity of an image by combining information extracted from the image with related information from a knowledge base. The proposed method is compared against state-of-the-art techniques on existing datasets as well as MEIR, where it outperforms existing methods across the board, with AUC improvement up to 0.23. Real world multimedia data is often composed of multiple modalities such as an image or a video with associated text (e.g. captions, user comments, etc.) and metadata. Such multimodal data packages are prone to manipulations, where a subset of these modalities can be altered to misrepresent or repurpose data packages, with possible malicious intent. It is, therefore, important to develop methods to assess or verify the integrity of these multimedia packages. Using computer vision and natural language processing methods to directly compare the image (or video) and the associated caption to verify the integrity of a media package is only possible for a limited set of objects and scenes. 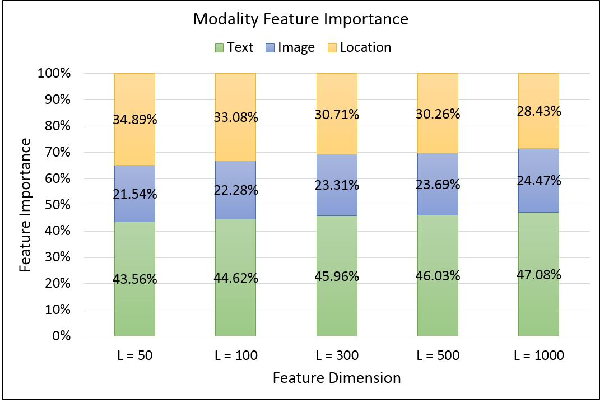 In this paper, we present a novel deep learning-based approach for assessing the semantic integrity of multimedia packages containing images and captions, using a reference set of multimedia packages. 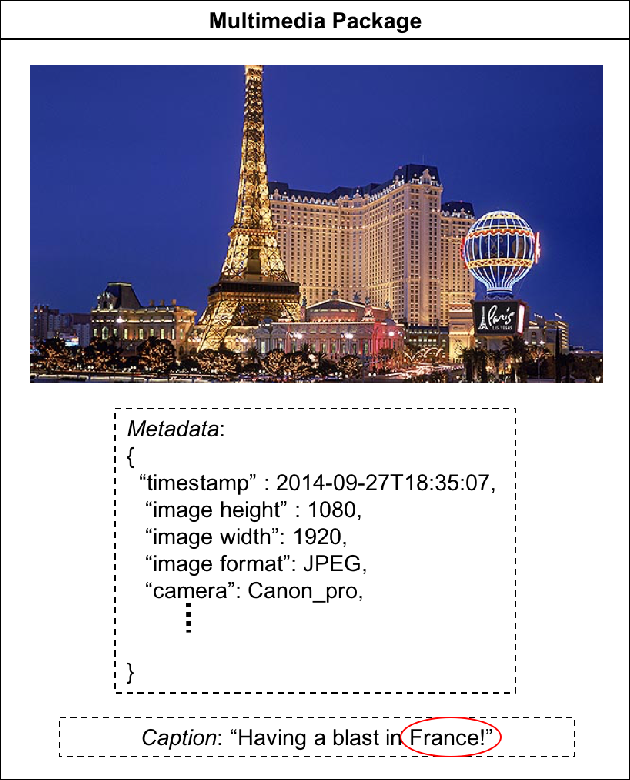 We construct a joint embedding of images and captions with deep multimodal representation learning on the reference dataset in a framework that also provides image-caption consistency scores (ICCSs). 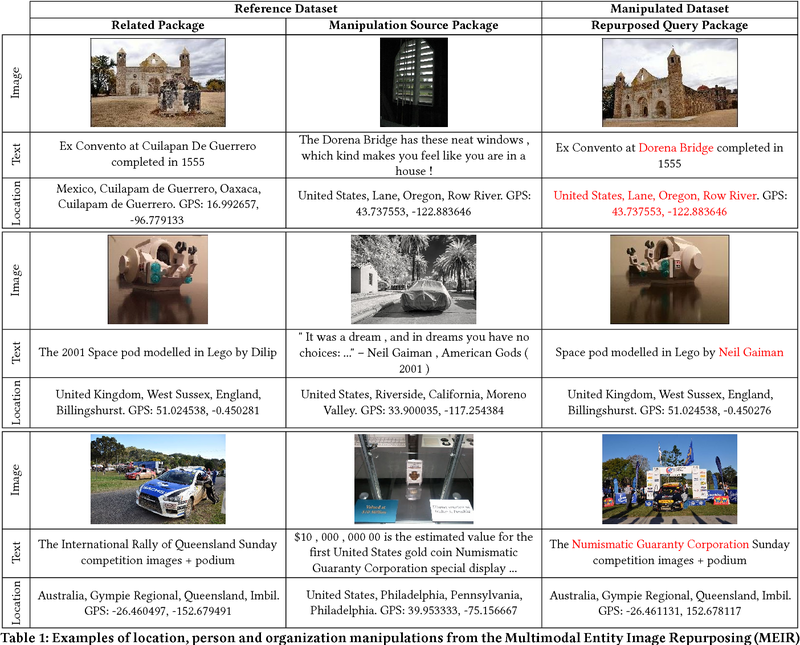 The integrity of query media packages is assessed as the inlierness of the query ICCSs with respect to the reference dataset. We present the MultimodAl Information Manipulation dataset (MAIM), a new dataset of media packages from Flickr, which we make available to the research community. We use both the newly created dataset as well as Flickr30K and MS COCO datasets to quantitatively evaluate our proposed approach. The reference dataset does not contain unmanipulated versions of tampered query packages. Our method is able to achieve F1 scores of 0.75, 0.89 and 0.94 on MAIM, Flickr30K and MS COCO, respectively, for detecting semantically incoherent media packages. In this paper we present a fully trainable binarization solution for degraded document images. Unlike previous attempts that often used simple features with a series of pre- and post-processing, our solution encodes all heuristics about whether or not a pixel is foreground text into a high-dimensional feature vector and learns a more complicated decision function. In particular, we prepare features of three types: 1) existing features for binarization such as intensity , contrast , , and Laplacian , ; 2) reformulated features from existing binarization decision functions such those in  and ; and 3) our newly developed features, namely the Logarithm Intensity Percentile (LIP) and the Relative Darkness Index (RDI). Our initial experimental results show that using only selected samples (about 1.5% of all available training data), we can achieve a binarization performance comparable to those fine-tuned (typically by hand), state-of-the-art methods. Additionally, the trained document binarization classifier shows good generalization capabilities on out-of-domain data. Recently, generative adversarial networks and adversarial autoencoders have gained a lot of attention in machine learning community due to their exceptional performance in tasks such as digit classification and face recognition. 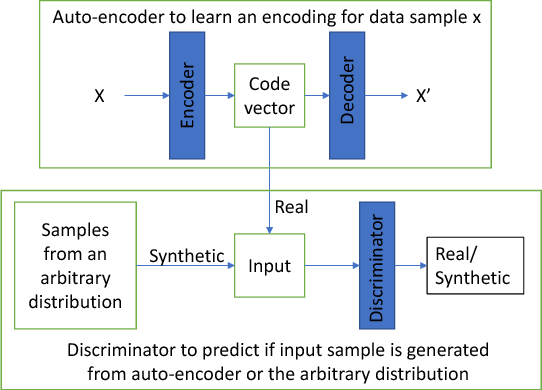 They map the autoencoder's bottleneck layer output (termed as code vectors) to different noise Probability Distribution Functions (PDFs), that can be further regularized to cluster based on class information. In addition, they also allow a generation of synthetic samples by sampling the code vectors from the mapped PDFs. Inspired by these properties, we investigate the application of adversarial autoencoders to the domain of emotion recognition. Specifically, we conduct experiments on the following two aspects: (i) their ability to encode high dimensional feature vector representations for emotional utterances into a compressed space (with a minimal loss of emotion class discriminability in the compressed space), and (ii) their ability to regenerate synthetic samples in the original feature space, to be later used for purposes such as training emotion recognition classifiers. We demonstrate the promise of adversarial autoencoders with regards to these aspects on the Interactive Emotional Dyadic Motion Capture (IEMOCAP) corpus and present our analysis. We introduce our method and system for face recognition using multiple pose-aware deep learning models. 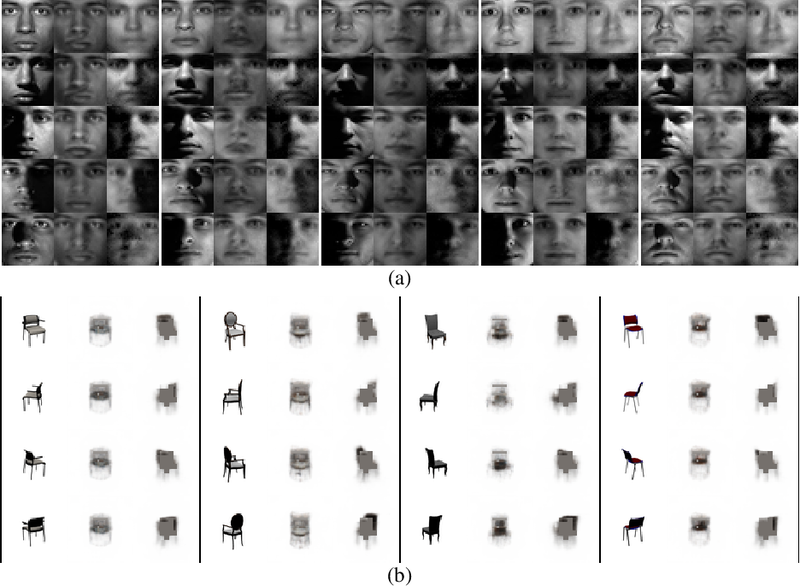 In our representation, a face image is processed by several pose-specific deep convolutional neural network (CNN) models to generate multiple pose-specific features. 3D rendering is used to generate multiple face poses from the input image. 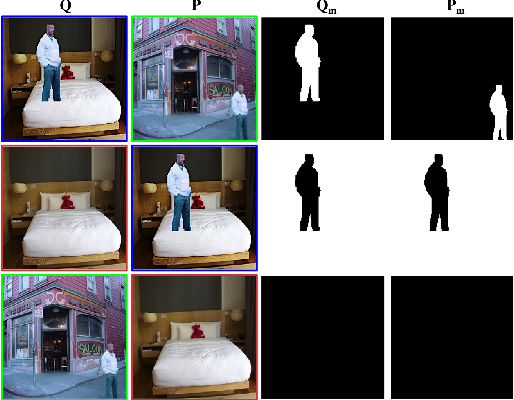 Sensitivity of the recognition system to pose variations is reduced since we use an ensemble of pose-specific CNN features. The paper presents extensive experimental results on the effect of landmark detection, CNN layer selection and pose model selection on the performance of the recognition pipeline. 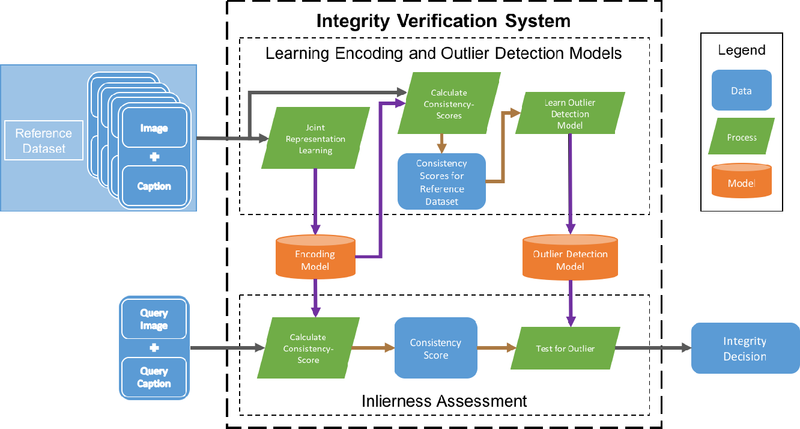 Our novel representation achieves better results than the state-of-the-art on IARPA's CS2 and NIST's IJB-A in both verification and identification (i.e. search) tasks.